There are many locksmith service companies providing auto locksmith services in Wigan, however Elite Local Locksmith Wigan stands out as the most reliable auto locksmith services company which provides professional auto locksmith services. Loosing or breaking one’s car keys is a nightmare that any individual would not want to face .This situation is further compounded if the individual is far from home. However an individual in Wigan who faces such a situation should not hesitate to contact us. 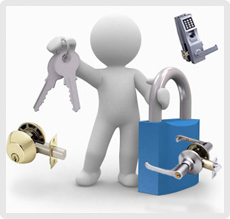 Elite Local Locksmith Wigan locksmith will address the needs of the person quickly. On contacting us, the individual is bound to get a return call within a few minutes. The individual is then required to tell us his or her location .Using our mobile vans, a team of locksmiths will reach you. We use special machines to reproduce car keys. Ours services are done at the roadside. To this end, we strive to serve the individual quickly bearing in mind that his or her security may be at risk. Elite Local Locksmith Wigan has the ability of reproducing keys for various car models among them Vauxhall, Audi, Renault and Ford. It is worth noting that our car entry methods are safe. Many cars in the UK come with immobilizer systems. It so follows that a person who misplaces the car key cannot access his or her car. Our locksmiths have the ability of programming the car’s immobilizer box. After reprogramming the code, we will produce a new transponder key for the individual as you wait.Elite Local Locksmith Wigan also carries out key duplication services. It is import for the individual to have two or three car keys. This ensures that you can go about your business after loosing your key. Our key duplication services are quick and affordable. Moreover, we have the ability or repairing or replacing your damaged car lock. Our repair and replacement services are the most affordable in Wigan and its environs. It is worth noting that we deal with all types of locking systems. If you car key breaks in the ignition box or the lock, contact our locksmiths for quick repairs. Many of our auto locksmith experts can replace you car’s ignition box if it is damaged. If your car key won’t turn in the car’s ignition box, a qualified locksmith will remove the car’s ignition box and repair on site. If the ignition box is not repairable, you will get an ignition box replacement on site. In other instances, the key may not be going all way down into the ignition box. In such a scenario, our locksmiths will quickly address the problem thus enabling you to start you car .Our auto locksmith services are the best in Wigan, a fact highlighted by the many and satisfied clients that we continue to serve.